New Foster designed Entertainment Centre in Astana, Kazakhstan's capital. The five Central Asian nations of Kazakhstan, Kyrgyzstan, Tajikistan, Turkmenistan and Uzbekistan have collectively gained an immense strategic importance over the last two decades, thanks to their geography and vast deposits of natural resources including oil, gas, uranium and gold. 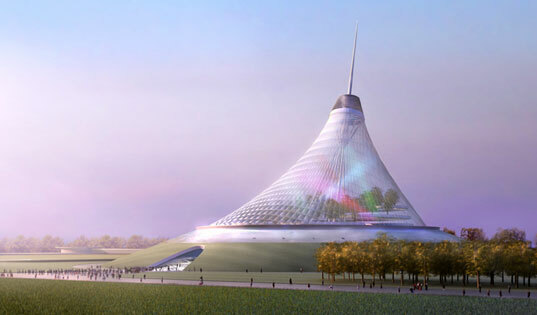 The 16m citizens of the oil-rich Kazakhstan have plenty to be proud of. Growth has averaged 8pc a year for the past decade, a far better performance than the other Central Asian economies. Average income per person is now over $11,000 a year, twice as much as Turkmenistan and six times more than Uzbekistan, which, with 28m people, is the region’s most populous country. This puts Kazakhstan among the ranks of middle-income nations. Kazakhstan is already the world’s biggest producer of uranium. It is set to join the world’s top ten oil-producing countries, when the giant Kashagan oilfield in the Caspian Sea comes on stream soon. So far the country has managed to balance cleverly between its giant neighbours, Russia and China, and the US and Europe. 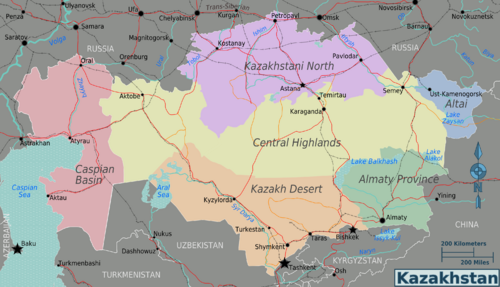 But who are the Kazakhs and what of their ancient nomadic culture? Ancient Greeks had a word for the people who lived on the wild, arid Eurasian land area stretching from the Caspian Sea to the border of China. They were nomads, which meant “roaming about for pasture.” They were wanderers and, not infrequently, fierce mounted warriors. Essentially, they were “the other” to the agricultural and increasingly urban civilizations that emerged in the first millennium B.C. As the nomads left no writing, no one knows what they called themselves. In any case, historical records show that their literate neighbours looked down on the nomads and considered them to be in an intermediate or an arrested stage in cultural evolution. They had taken a step beyond hunter-gatherers but were well short of settling down to planting and reaping, or the more socially and economically complex life in town. But archaeologists in recent years have moved beyond this mind-set by breaking through some of the vast silences of the Central Asian past. Findings in graves from as early as the eighth century B.C. show that the Kazakhs maintained networks of cultural exchange with powerful foreign neighbors like the Persians and later the Chinese. The first US exhibition devoted entirely to the nomadic culture of ancient Kazakhstan opened in March 2012 at the Institute for the Study of the Ancient World (ISAW) in New York. Nomads and Networks: The Ancient Art and Culture of Kazakhstan focuses on the people of the Altai and Tianshan Mountain regions, located in the eastern part of the country, from roughly the eighth to first centuries B.C. Featuring around 250 artifacts, the exhibition dispels the notion that nomadic societies were less developed than sedentary ones. Rather, they are revealed to have been highly sophisticated, with strategic migratory routes, active networks of communication and cultural exchange with their neighbors. Artifacts range from bronze openwork stands, superbly decorated with animal and human figures; to “petroglyphs” or rudimentary drawings, which marked important places in the landscape; to dazzling gold adornments that signified the social status of those who wore them. One of the highlights is the recently excavated, but never-displayed material from a fourth–third century upper-class burial-site in Berel, near the Russian/Chinese border, where permafrost conditions enabled the preservation of organic materials. The exhibition contains some 120 artifacts from this rich site. Beginning in the third century B.C., Chinese luxury items, like the Wusun diadem, appeared in nomad burials, mainly associated with Han dynasty. According to Chinese accounts, the Wusun nomads may have furthered contacts between Central Asian nomads and Han China, at the time expanding westward and in need of horses in its campaign against borderland rivals. The below video provides more insight on the Central Asian nomads and images from the exhibition.